I have a secret fantasy of living on a hobby farm. Of course I'm a total city girl and could never survive on a farm for all the flies, dust, and manure. But in my fantasy I'm dressed in my cute little jumper and mud boots, bucket and stool in hand, ready to milk some cows. Also on my farm would be hundreds and hundreds of sheep. I love sheep. They're so cute and woolly and they stick their little pink tongues out when they baa. 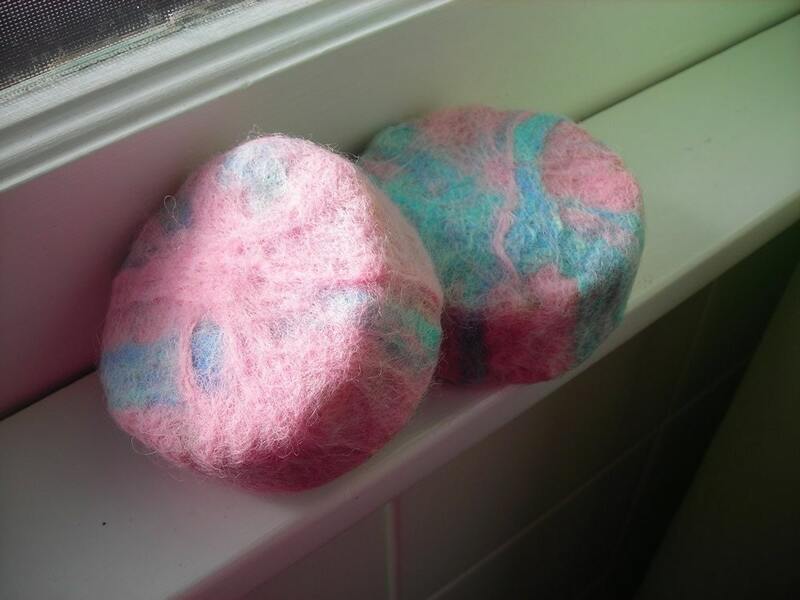 In my fantasy I would shear the sheep and spin their wool into the most luxurious yarn ever seen. Alas, I have no sheep and I don't know how to spin wool into yarn. But I do know someone who has taken the yarn made from the fluffy wool of my imaginary sheep and has created the most glorious pieces of art. Laurie Lausen. Her shop, Wooly Red Rug. Laurie is a true master of her art. She knows how to dye and hook yarn into beautiful rugs, runners, and mats. 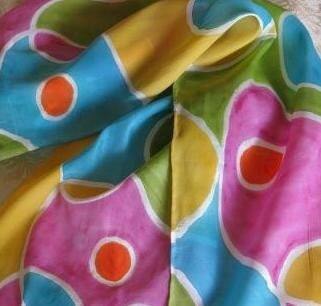 She also hand-dyes wool fabrics and cotton threads. The colors are fabulous. 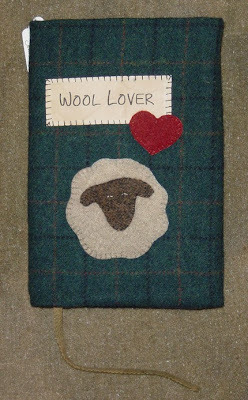 Check out this cute item: It's the Wool Lover's Journal; a journal cover made with hand-dyed fabrics and threads. 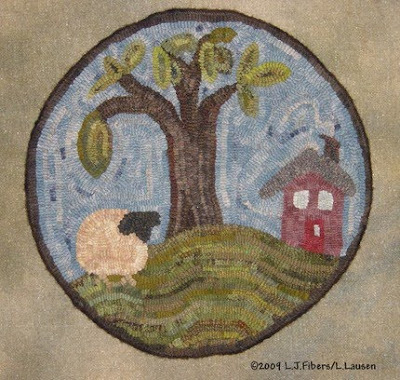 Look, there's an applique of one of my sheep. 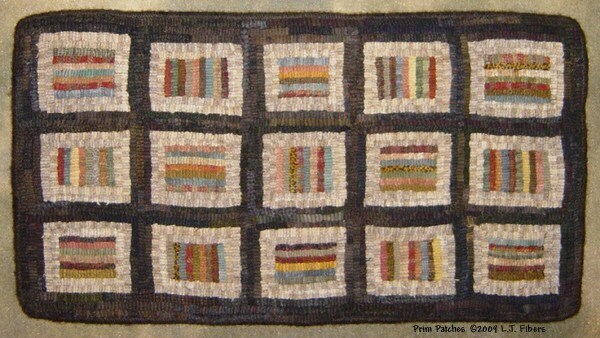 The Americana Hearts and Stars Runner is one of Laurie's original designs and I just love the primitive colors. Not only did she design it, she hooked it herself! What a woman. Laurie did some more designing and hooking with this lovely chair pad featuring my fantasy sheep. She suggests the Hilltop Chair Pad can also be used as a table mat. Anything that is so pretty and can serve dual purposes is simply a must-have. Laurie Lausen is such a gifted artist. 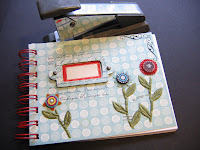 She also has a really nice blog called Prairie's Edge Primitives. Wooly Red Rug is a wonderful place to pick up a little piece of that hobby-farm fantasy you might have. Thanks, Laurie, for fueling the fire. Fun Friday Finds ~ Never Felt So Good! My friends at Ferndale Market in Cannon Falls recently announced their joy that the word Locavore had been added to the 2009 Collegiate Merriam-Webster Dictionary. 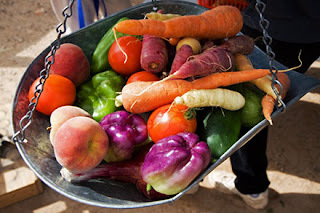 In the latest edition of this dictionary Locavore is defined as “one who eats foods grown locally whenever possible”. Since Ferndale is a market focused on selling local grown, raised or produced foods, I can understand their excitement. But it made me think – what is one who uses other locally created products like those found on Etsy made by the members of the HandmadeMN team called? Is there a name for those of us who buy local products from local companies or artisans whenever possible? Anybody know the answer? If there isn't one, maybe we should create one. It's back to school season, as you can see by all the displays in every store you go to these days. 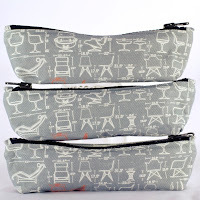 Why not shop handmade for your back to school supplies? Everyone needs a book bag. Or something to keep your pencils in. 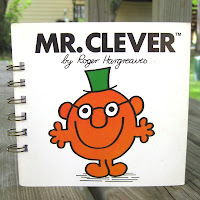 One-of-a-kind notebooks for jotting down all those flashes of brilliance. 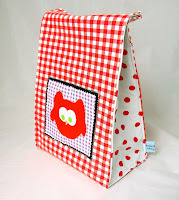 And, most importantly, a super cute bag to bring your lunch in. Congratulations to Lynn, last week's giveaway winner! Lynn runs Midnightcoiler on Etsy. Thanks to all who entered and we wish you good luck with this week's giveaway! 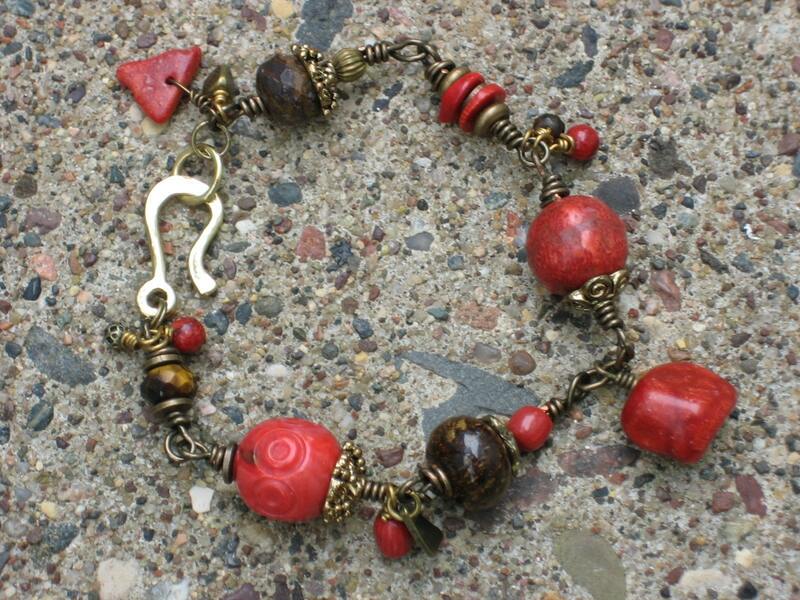 Today we bring you a beautiful red coral beaded bracelet from Cheri of From Out of The Cracks. Check out her shop for some beautiful jewelry! Let Fall begin with this bold red coral and brass bracelet. Hand wrapped brass links bring together coral, bronzite, faceted jasper and brass beads with a red coral pendant. A great vintage bead, lots of detail and charms really bring this piece together. This bracelet has a very unique hammered brass hook and eye clap that will steal your heart. 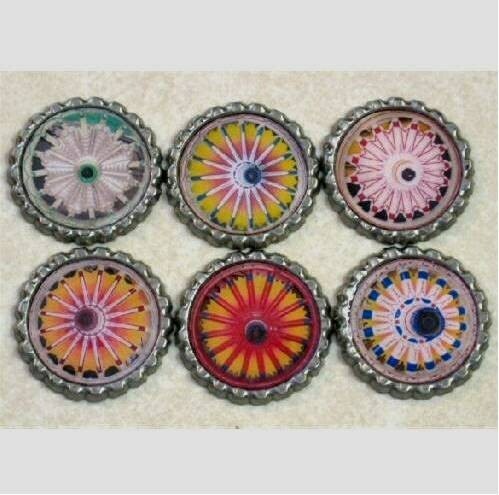 Will fit wrist 6 ¾ to 7 inch. Both US and International residents are eligible! Contest ends Saturday, September 5th at 12:00 noon Central. One winner will be chosen by Random.org. "What may seem 'normal' or acceptable in society today is not necessarily what is 'healthy' for families and children." Getting back to the basics - a more simple, relaxed lifestyle; open-ended toys made of natural materials; and healthy, home-cooked food enjoyed together as a family - is something I strive for with my family. Although it would be nice if every day looked like this, the reality is...it doesn't. However, it is something that I'm working towards. "Children take into themselves everything they experience in the environment. Whatever is in children's environment will be in them. Whatever is in them will affect their physical and spiritual growth. By positively affecting your children, you are beginning to impact your grandchildren's lives!" 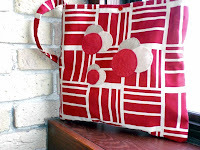 Congratulations to Ann of Harvest Moon by Hand for winning July's HandmadeMN monthly challenge! Thanks to all who participated in this month's challenge, and stay tuned for some great "Purple Rain" entries in the August challenge! What is your favorite quote and how has it influenced your life? This is my favorite quote and how it has influenced me! The last sentence in particular has influenced my life on more than one occasion. When I think there is something I cannot do, I try even harder to accomplish it. It is as if that sentence is a challenge in my life to be even more than I think I can be. The calm after the storm if you will! Please leave your favorite quote and how it has influenced you in the comment section. Browsing through the favorites from HandmadeMN members, I came across two Etsy shops that sell hand-tooled leather goods. 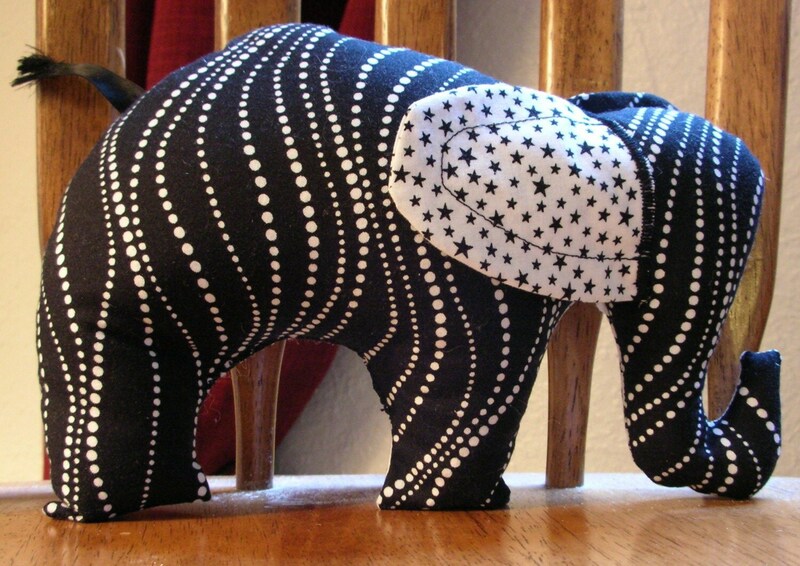 "Moxieandoliver" is one of fromotofthecracks favorite sellers, and "brigit" is one of StarglowStudio's favorites. 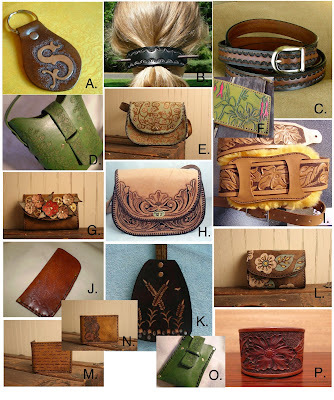 Doing an Etsy search for "tooled leather" I also found an Etsy shop located in right in Minneapolis, Minnesota--"manitobagifts." 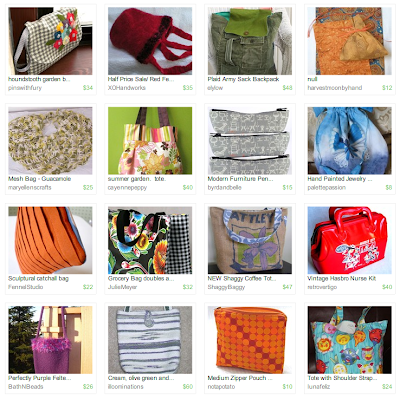 Interestingly, these three Etsy shops span coast to coast--moxieandoliver in Seattle, WA, brigit in Sewell NJ, and of course, manitobagifts, located right here in Minnesota! Fun Friday Finds ~ Give a HOOT, Don't Pollute! 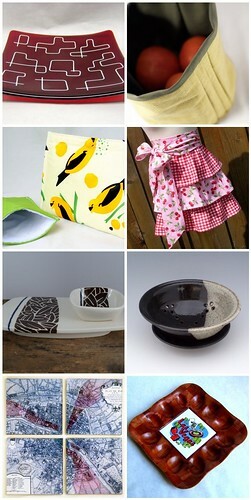 Handmade items perfect for those who love to cook and entertain. 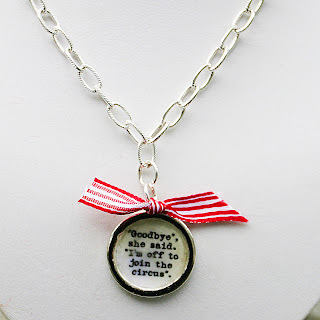 At HandmadeMN there are numerous jewelry makers, all with outstanding talent. 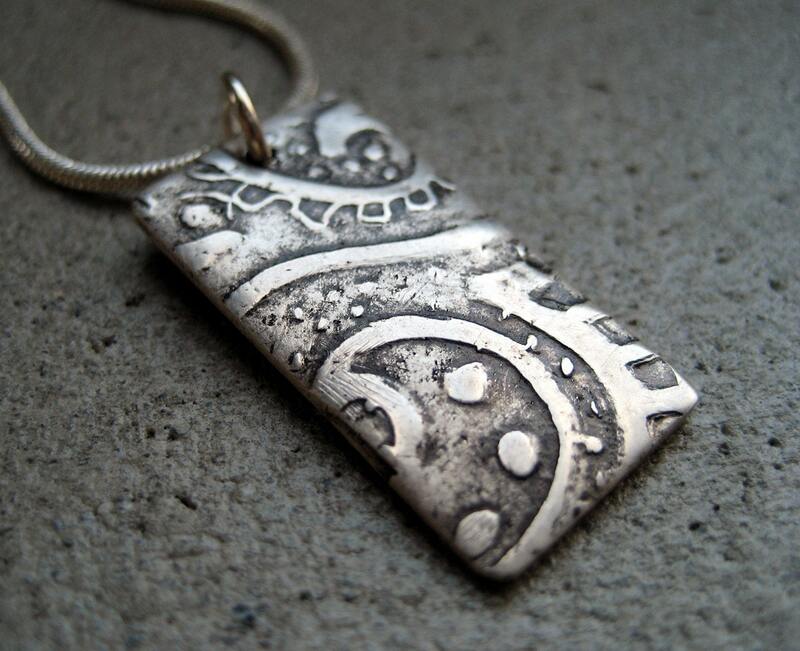 Today I'm admiring the work of Kerri Norman of Sterling Sun Jewelry. Kerri has such an simple and elegant way of design. 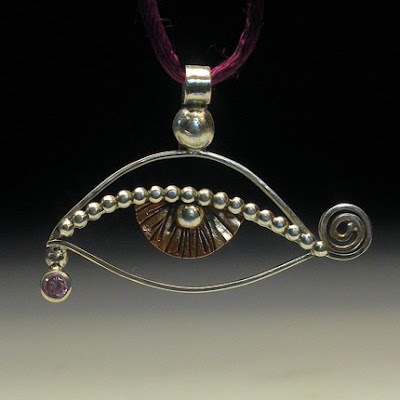 Sterling Sun Jewelry is brand new, but it is clear Kerri has been working with metals and stones for a very long time. 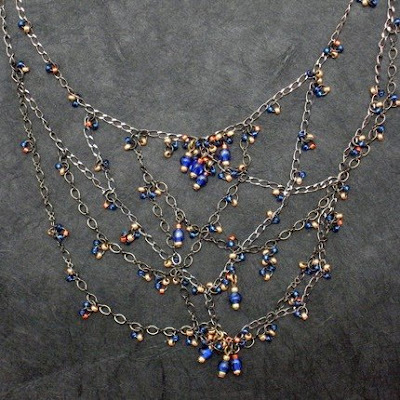 This necklace is so intriguing with its asymmetry; the beads and chains have been precisely placed to hang evenly despite its lack of mirror image design. I really like this next one. Kerri claims to have gone through "an eye theme" for a while. This pendant looks like exotic sorrow to me. Stunning. Kerri's work is breathtaking. And besides having so much talent, she's really, really nice. 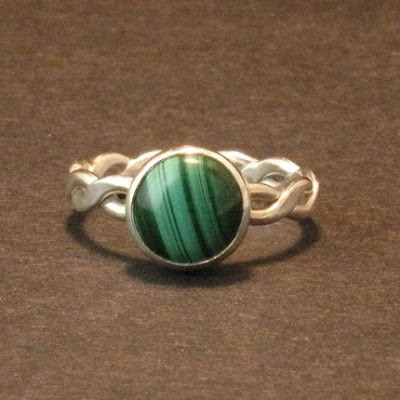 To see more, visit Sterling Sun Jewelry. Congratulations to Jessica, who was last week's giveaway winner! 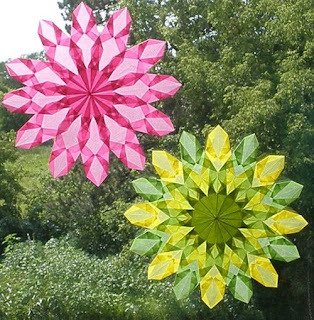 Jessica runs Crazy Daisies Designs on Etsy. Thanks to all who entered and we wish you good luck with this weeks giveaway! Today we bring you "George", from Denise of Stars Apon Thars. 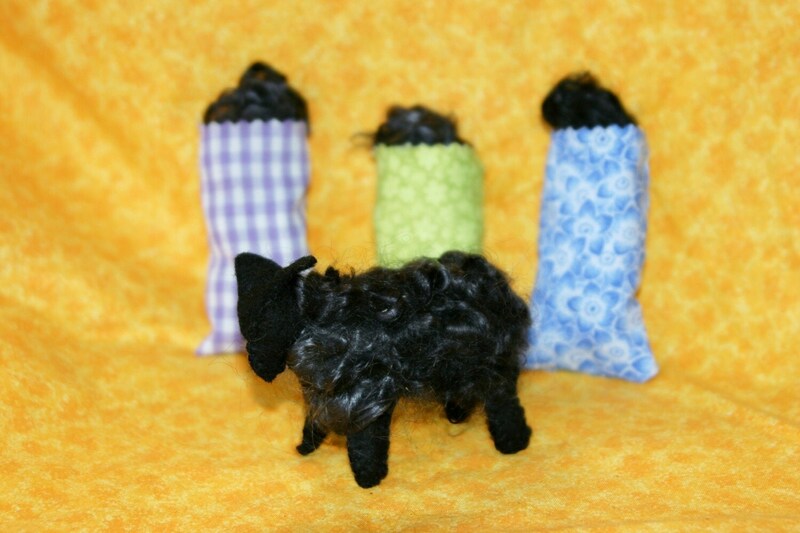 Check out her blog to see her latest needle felted critters (she'll be listing them in her shop soon!) If you scroll towards the bottom you can see a slide show. They are so cute! George is 6" of 100% needle felted merino wool and took a bit over 6 hours to make. He is wonderfully soft to the touch and very cuddly, but do not let him fall into the paws or teeth of animals or young kids . What is he? Denise calls her animals "Franken-critters", as they are a blending of different animal features. Technically, this would make him a Chimera. He doesn't mind a spot cleaning with a wet washcloth but is not fond of being submerged (he is part cat after all). He does enjoy a nice blow drying on low/cool setting to fluff up his fuzzy bits and get off any dust. For this giveaway you must be a US resident. Contest ends Saturday, August 22th at 12:00 noon Central. One winner will be chosen by Random.org. Fun Friday Finds ~ Got this in the bag! Got this in the bag! Okay, you’ve decided on a show(s) you’d like to try, made your applications and have been accepted. Now what? Well, I think you’ve got a few business items to take care of if you haven’t done so already. Consider opening a merchant account to accept credit cards at shows. 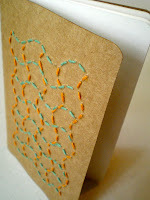 Credit card processing is easy for us on Etsy, but at shows it’s a little more difficult. If you don’t already have a merchant account there are endless options available to you. Just as the options available to you vary, so do the costs associated with a merchant relationship. Do you want to use the old style imprinter to process? It’s cumbersome, but sometimes cheaper especially if you have limited access to electricity at many shows. Or you could go all out with an electronic processor that uses wireless communication. 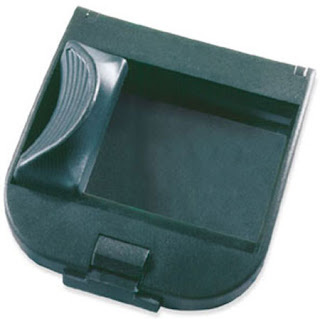 This is more expensive from the equipment standpoint, but a timesaver on the processing end. Because many of my shows are in locations where I don’t have wireless service, I use an imprinter and phone my card sales in at the end of the day. Many trade associations, councils or organizations have a partnering relationship with a merchant bank to offer services at a reduced rate to members. My merchant account set up and processing had reduced fees from the bank because of my membership in the Potter’s Council. Most people who have merchant accounts agree that their sales increase because they’ve made a purchase more convenient for the overwhelming number of people who use credit and debit cards over other forms of payment. I like this little portable imprinter. The purpose of a show is to sell your products, but ultimately, you want to cultivate long term customer relationships. So you’ll want some promotional materials for the people who make purchases and those that browse so they can take information home with them. Some important items include are business cards, product care cards, upcoming event cards and a mailing list sign-up sheet. What others have you seen from other vendors? I usually have a small table at the side of my booth for these items, including information about other people or products I promote. All these cards can be ordered from your local printer, office supply store or online so do some shopping and see what you find. I’m always amazed at the people who call me, sometimes a year or more later, because they kept a card they picked up at show. 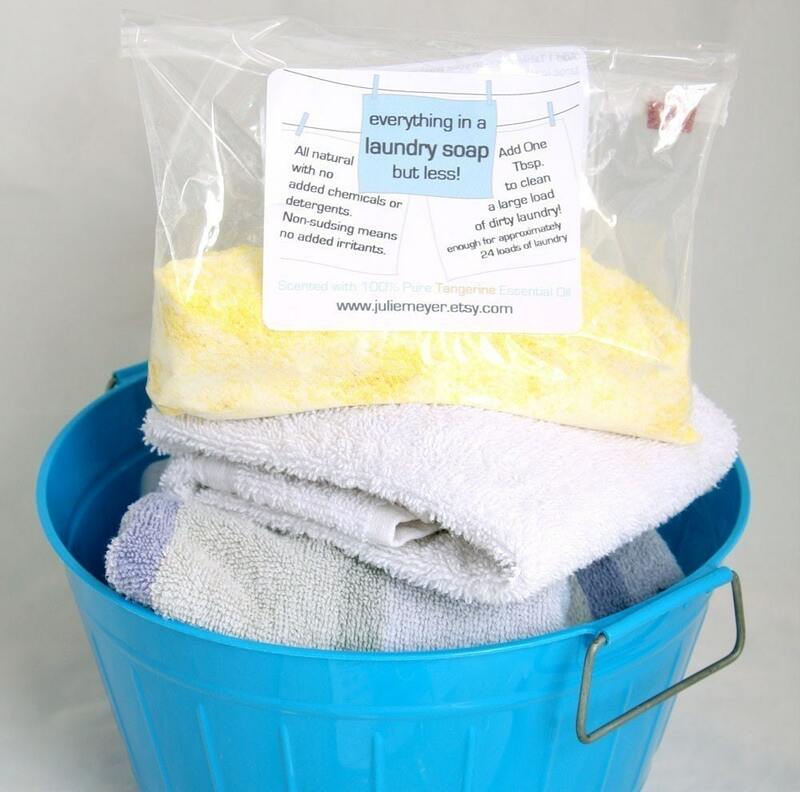 How are you going to package your products after a sale? 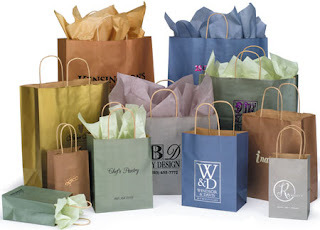 Jewelry frequently is placed in a pretty box or draw string bag or large items like metal garden stakes could have a large plastic bag wrapped around them. Whatever your product, consider how you’d like to present it to the purchaser and order the materials necessary to do so. 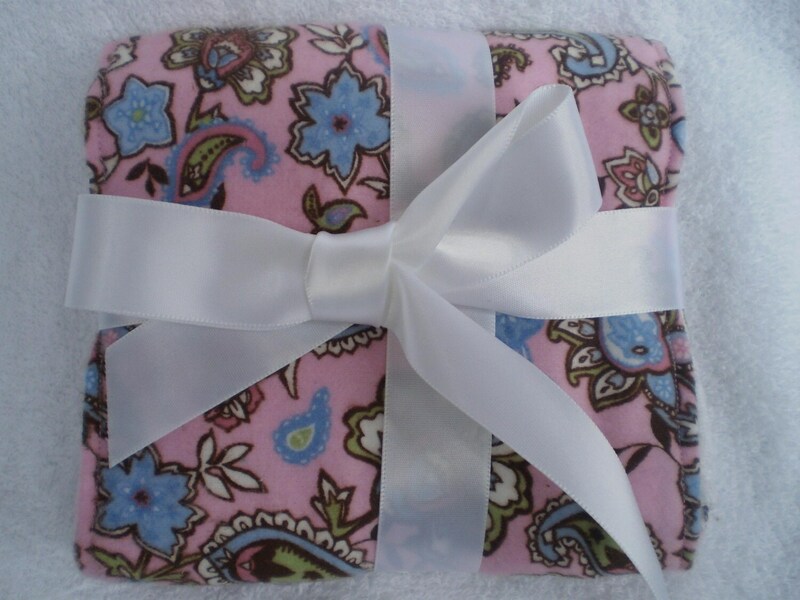 The size of my products vary from coaster size to 18” platters so I have three different size shopping bags with very secure handles and newsprint on a roll to wrap them safely for the purchaser to carry. Everybody’s needs here will be different, but consider your needs and then take time right now to order the appropriate supplies. Are you overwhelmed yet? Sorry, that’s certainly not my intention, but I firmly believe you get what you put into a show. Presenting yourself and your product well will pay off if you’ve done your homework and chosen a show that is appropriate for your market. Meet Ann Rickenberger. Ann lives in beautiful Scandia, MN just 40 miles away from the Twin Cities. She is a stay-at-home mom of two daughters that she homeschools. 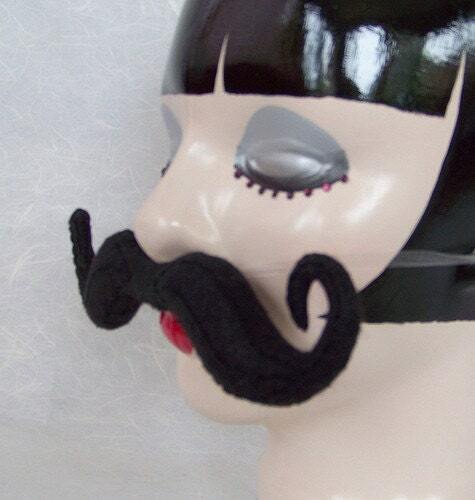 Her etsy shop is called Harvest Moon By Hand. 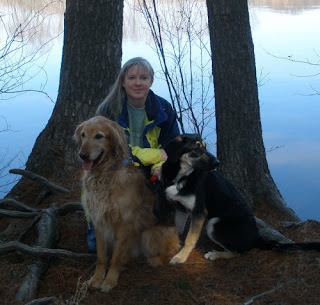 You can also find her on her Flickr site which shows pictures of family life, creative projects, and homeschooling. She also has a Harvest Moon By Hand blog. 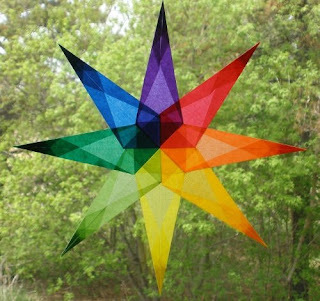 The most popular item in my store is by far the translucent window stars. These are some of the first items that I started with when I opened my store, and I continue to add new patterns and colors each month. - educational supplies (e.g., postage stamp sets). In addition to these items, I also do custom and wholesale orders based on what people see in my store or on my Flickr site. 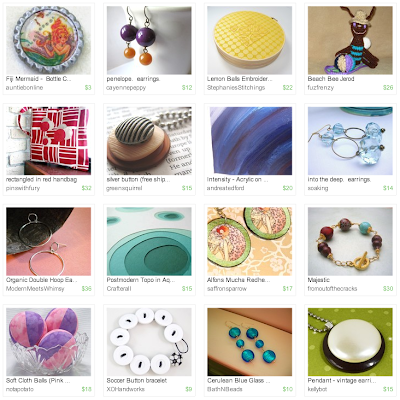 I am inspired by the creative work that I see on Flickr and Etsy. I also like browsing through craft books and magazines that I check out of the library. 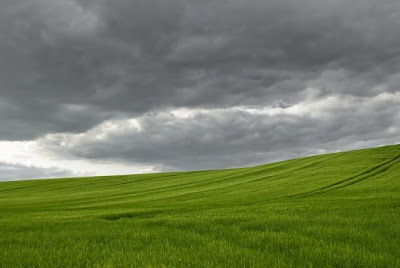 Living in a rural area, I’m always inspired by nature and wildlife. Last, I’m inspired by my daughters. It’s interesting to see what they use when they play, what their play centers around, and what they tend to gravitate towards when we go shopping. 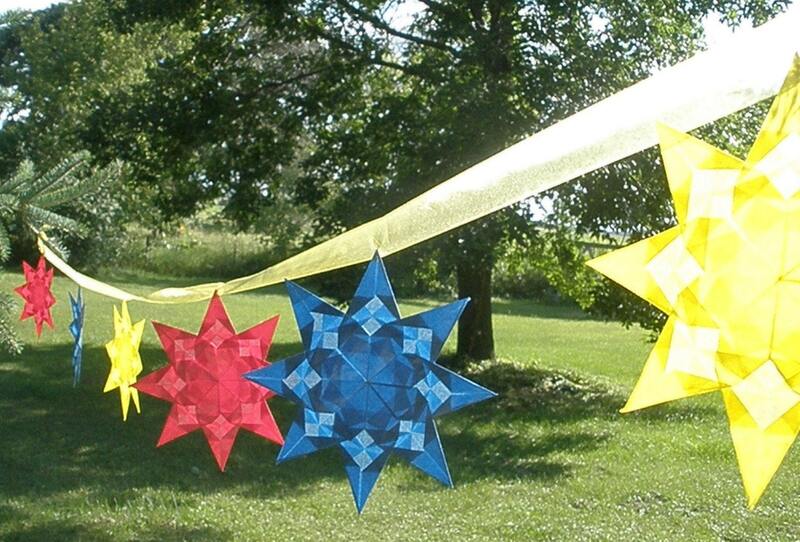 I try to create all-natural items that they and other children would enjoy playing with and using. I have an office in my home where I do the business aspect of Harvest Moon by Hand. For origami and hand-embroidery, I tend to lay down so that my eyes are within 5-6” from my hands and the piece I’m working on. 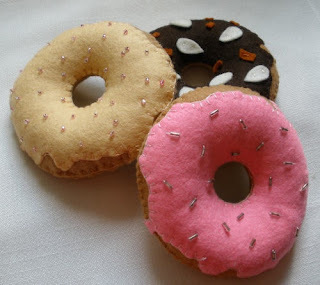 For items that I sew on the sewing machine, I sit at the dining room table. As a child, I loved to color, draw, and do crafts. My parents were very supportive of creative expression, and registered me for summer school arts and craft classes. When I was junior high, I took a lot of art classes – including pottery, calligraphy, and rug making. Now as a mother, I enjoy crafting with my daughters and seeing their enthusiasm for expressing their creativity. 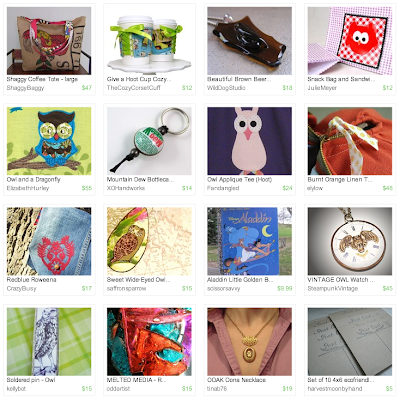 In addition to origami (the window stars), hand-sewing and embroidery, and needlefelting which is represented in what I sell, I enjoy photography, cross-stitching, needlepoint, quilting, and decoupage. I’ve made ATCs, altered matchboxes, and other mixed-media work. My favorite place, by far, is the Minnesota Waldorf School. 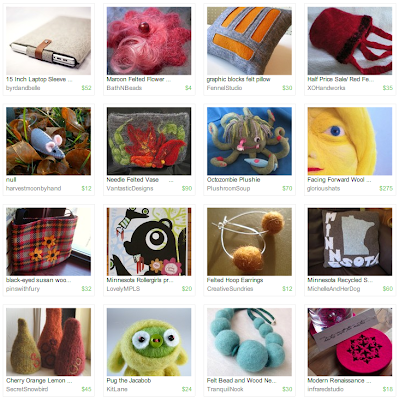 They have a wonderful selection of 100% wool felt, wool, and other natural supplies for making the items that I sell in my shop. Joann’s and Michaels are two stores I could spend hours in. I try to stay visible by listing often, by listing a variety of items, and visiting the Forums. I also have business cards which I include with each order. This month's challenge theme was "Circus". Check out all the fabulous entries below, then scroll all the way to the bottom to vote for your favorite! The winner will recieve an advertising spot on our blog. And watch next month for some fabulous entries celebrating "Purple Rain". Voting ends at midnight on August 18.